Back in June, Microsoft announced that it had acquired professional social network LinkedIn for $26.2 billion, instantly making it one of the biggest tech industry deals on record. The news sparked speculation from all sides as to what it might mean - what will Microsoft do with LinkedIn? How will the deal affect the platform? Is LinkedIn really worth $26 billion? On the last point, LinkedIn clearly holds significant value - after the deal was announced, reports surfaced that Salesforce had actually offered more than the final price tag for the platform. So what can LinkedIn actually provide to Microsoft's product eco-system that would make rivals so keen to keep it out of their hands? A post on the LinkedIn Engineering blog this week may have inadvertently provided some additional insight into how LinkedIn fits into Microsoft's wider process - and the potential value proposition of a combined LinkedIn/Microsoft actually looks very interesting indeed. 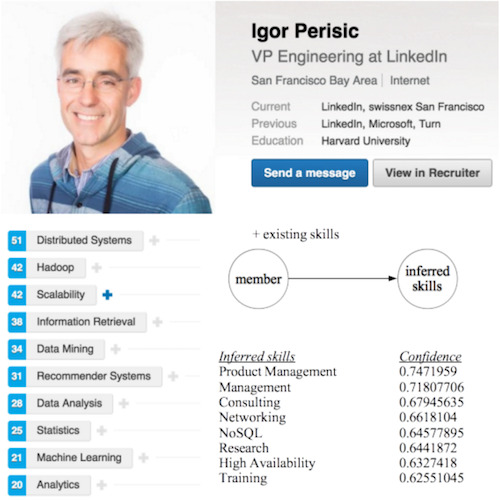 In a post titled "Building the LinkedIn Knowledge Graph", Senior LinkedIn Engineering Manager Qi He outlines how the platform has been developing its machine learning capabilities in order to improve their data matching process - a critical element in maximizing the performance of their various products and offerings. "...the mappings from members to other entities (e.g., the skills that a member has) are crucial to ad targeting, people search, recruiter search, feed, and business and consumer analytics; the mappings from jobs to other entities (e.g., the skills that a job requires) are driving job recommendations and job search"
Because of this, LinkedIn need to do all they can to ensure their data matching is accurate, which can be difficult when most of the information submitted to their graph is entered manually by users. That process inevitably leads to errors - as an example, He highlights the company page of a small design firm called "uber" which has 1-10 employees. As you can see, despite this company only employing 10 or less people, 96 LinkedIn members have signaled that they work there, most of whom have mistakenly selected "uber" as where they work, as opposed to "Uber", the online transportation network company. To lessen the impact of such errors, LinkedIn has developed AI systems that are able to infer relationships within the graph based on additional context. For example, this LinkedIn user has listed things like "Distributed Systems," "Hadoop," and "Scalability," as skills. Based on LinkedIn's vast database, the system's able to infer other, closely related skills that this person is a match for, then use those in subsequent on-platform matching. The research highlights the ongoing evolution of LinkedIn's data models, and how they're utilizing their constantly expanding professional database to make more intelligent and accurate predictions. "To date, there are 450M members, 190M historical job listings, 9M companies, 200+ countries (where 60+ have granular geolocational data), 35K skills in 19 languages, 28K schools, 1.5K fields of study, 600+ degrees, 24K titles in 19 languages, and 500+ certificates, among other entities." That's where LinkedIn's real value lies - if LinkedIn's able to continue to refine their on-platform data models, and utilize the insights gleaned from those billions of entries, they'll be able to create more intelligent job matching systems. 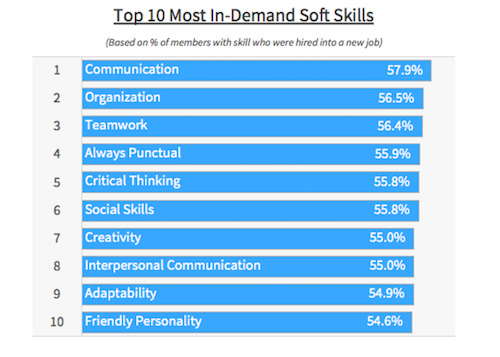 From this, LinkedIn may one day be able to change HR as we know it. Based on career histories and professional details, LinkedIn will be able to take your interests and talents and show you your ideal career path, based on actual data from those working in the field. LinkedIn will also be able to more accurately highlight the skills you need to advance - another example highlighted by He is their ability, using the improved accuracy of their graph, to extract supply and demand data for various roles and sectors. That could then enable them to build their own recommendation engine, using their newly launched LinkedIn Learning system to connect people to courses to help advance those required skills. It's fascinating to consider the possibilities of LinkedIn data, and that's really where both Microsoft and Salesforce see much potential. But there was something else in the post which more specifically outlined the possibilities of the coming LinkedIn/Microsoft merger. 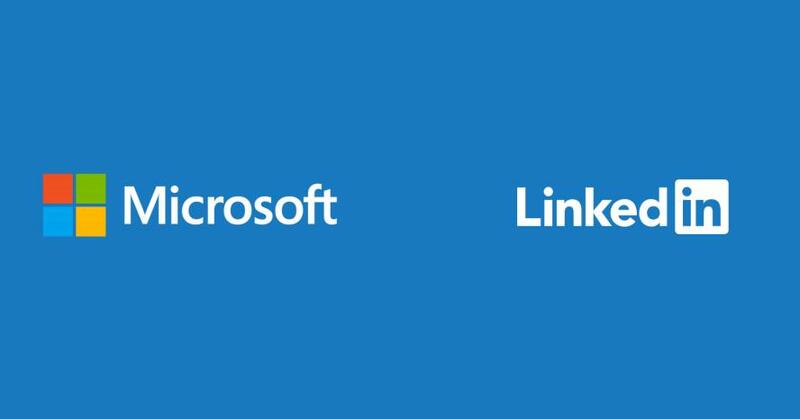 The header graphic for the post is this - a side-by-side comparison of both the Microsoft and LinkedIn and Microsoft graphs. There's no reference to this graphic in the post - in fact, there's no mention of Microsoft's involvement with LinkedIn at all - but the image effectively highlights how the various functionalities of the two systems can compliment each other. To clarify it a little further (and excuse my limited graphic design capabilities), here are the two graphs merged into one larger eco-system. It's only a simple visualization, but it brings the wider vision of the merge into context - and immediately you can see the connections and complimentary processes, the potential of the new pairing. 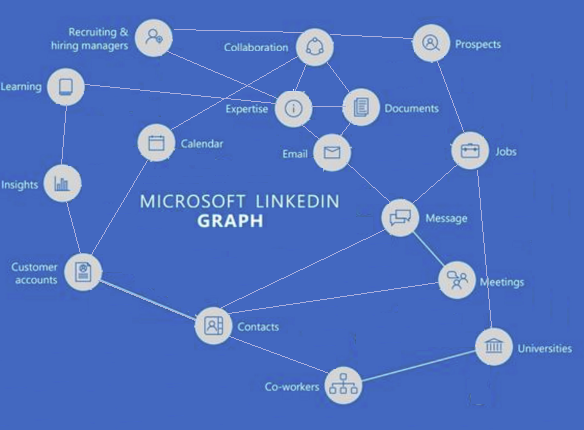 Combined with LinkedIn's ongoing advancement - as detailed in the post - and Microsoft's professional products, the Microsoft/LinkedIn Graph looks very impressive, and you can imagine how the various nodes within the chart will work to fuel each other and improve each respective element. It's only a graphic, a very basic representation of what might be, but it may provide one of the best explanations for what we can expect to see moving forward. There's much to do - just as there is with LinkedIn's developing AI systems - but on a wider level you can start to see why Salesforce was so keen to get it first - which may also explain, in part, why they're reportedly still considering making a bid for Twitter. Once Microsoft incorporates LinkedIn's data, that could give them a big advantage - unless, of course, Salesforce is able to bring in their own data source that could provide a comparable, if alternate, level of insight.